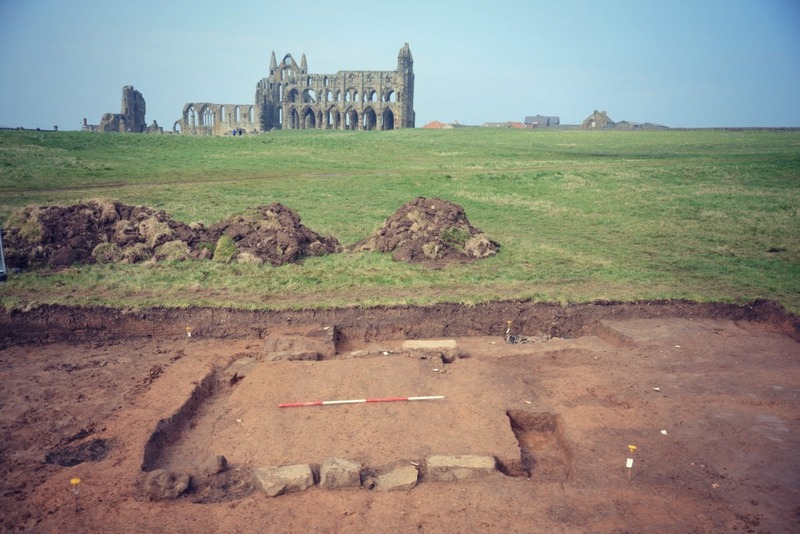 After almost 20 years of intermittent excavation on the Whitby Abbey Headland we were putting together the records and drawn plans of a 7th century Anglian cemetery, which lay some distance to the south of the ruined 13th century abbey church. As she pulled them together our colleague, the late Sarah Jennings, saw that there had been a rectangular area in the centre of the cemetery, surrounded by close packed burials, and defined by trenches and stone walls. She had spotted a probable chapel building. Why was the building not seen during the three excavation seasons of 1995, 1999 and 2000? – simply because it lay on the edges of all three areas, at the corners of the maps and it had never been seen in its entireity, just one wall in each of the three seasons. As a central feature in the cemetery, it was very desirable to attempt to understand it as a building – as only three wall lines were known we could not even be sure of its dimensions and plan. 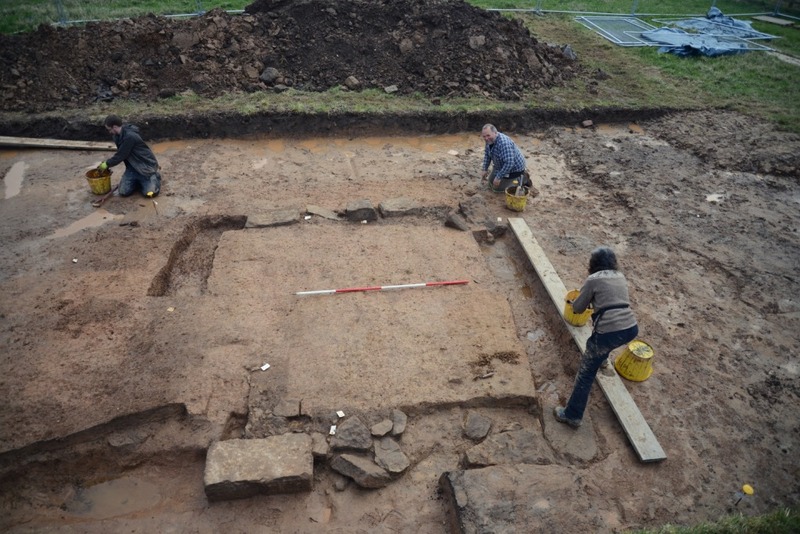 In order to rectify this, we undertook a small scale excavation over the three weeks to April 4th. During the same three previous seasons, a substantial ditch had been found. No burials extended beyond this ditch, and we had naturally thought of it as the cemetery boundary. We took the opportunity to examine this ditch fully in two areas as well. Sure enough the excavation revealed a small building only 4.8m square. It was stone-built with some very large stones used in the foundation. The foundations of the north and south walls survived in part, but the stones of the east and west walls had been removed to the foundations, leaving only stone-robbing trenches to define the wall lines. The chapel seems to have been a primary feature of the cemetery. Burials clustered around it, but its wall trenches did not cut through any burials, nor were there any burials inside the building. It was probably used for committal ceremonies. This is an exciting finding, as we have a radiocarbon date from a primary cremation burial in the cemetery of AD 620-680. The chapel should be more or less contemporary. This date brackets that of the great Synod of Whitby in AD 664, and it is probable that our chapel stood at the time of the meeting. 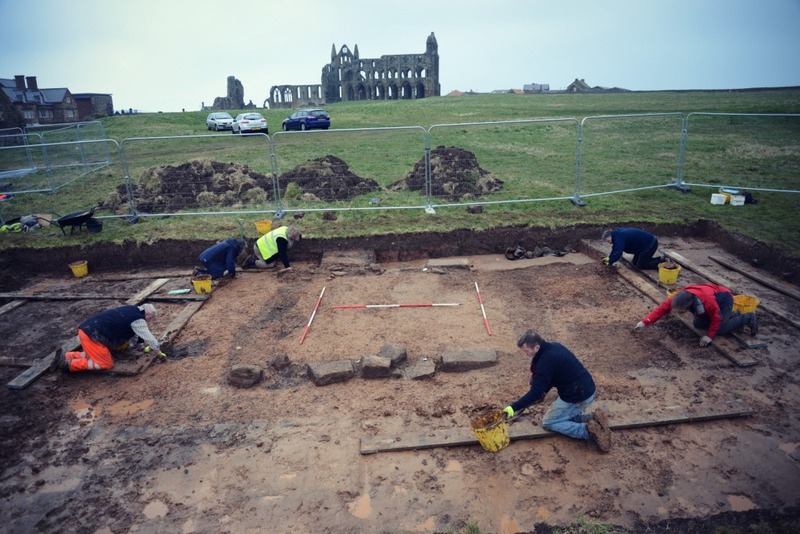 In the Anglian period the site we now know as Whitby Abbey was called Streoneshalch. It had been established in 657 by its first Abbess, St Hild, who was herself a royal princess. The Synod was a meeting to determine whether the Irish Celtic or Roman Catholic version of a number of Christian rituals was to hold sway in the kingdom of Northumbria. The most important issue was the method used for the calculation of Easter, which differed between the two churches, as the Irish church had been using a form of calculation obsolete in the Roman church by the 7th century. King Oswy of Northumbria presided over the meeting and adjudicated in favour of Rome, beginning over 900 years of Catholic observance in England only ended by the dissolution of the monasteries under Henry V111. The main buildings of the 7th century monastery were partly revealed below the 13th century Abbey (though they were poorly understood) during excavations in 1926, resulting in the conclusion that the abbey consisted of a number of small cells or oratories set on an exposed and windy headland. 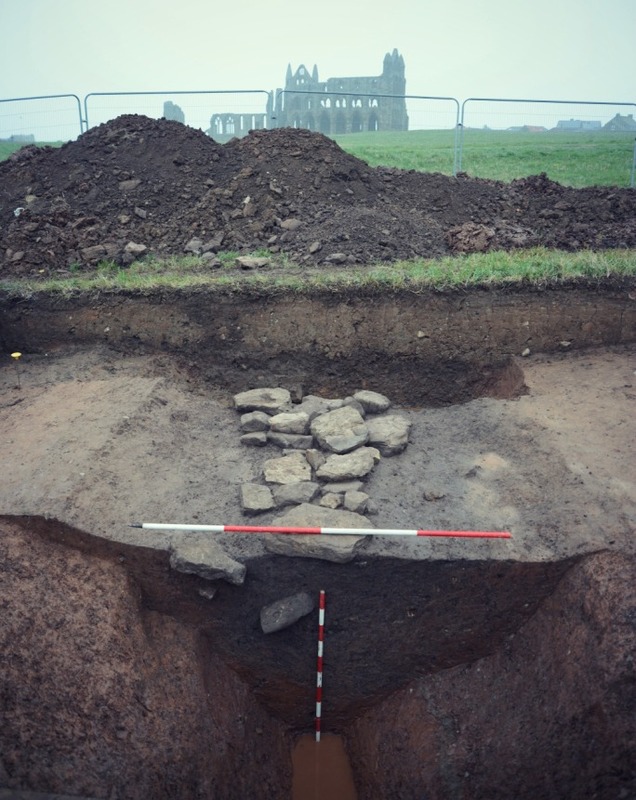 Surprisingly the excavation of the cemetery boundary ditch had far greater implications for the site than the discovery of the chapel. 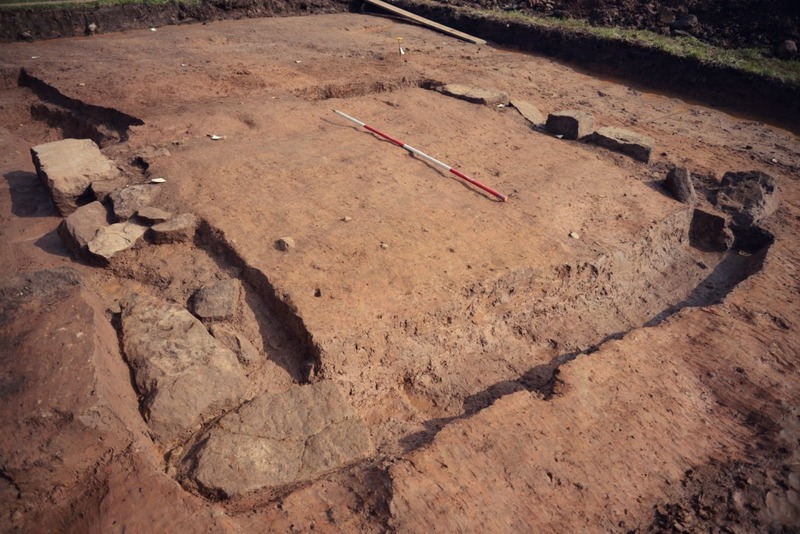 Two small areas were excavated. The ditch was very large – almost 3 metres wide, 1.8 metres deep and ‘V’ shaped in profile, and seemed excessive for a mere cemetery boundary. We had long wondered why we had not seen this boundary at the southern limit of the burials. We soon found the reason. In the southern trench over the ditch we found that it swung east – away from the cemetery. So what was this ditch? When it was first found in 1995 I had tentatively thought that it was part of a long boundary and a continuation of a section of ditch of identical form found 180 metres to the west. In 2007 Sarah Jennings and I had found another very similar ditch section on the edge of the sea cliff 350 metres east of the cemetery. If all of these observations are of a single ditch, then it is a major boundary, cutting off the whole of the headland by linking the steep slope to the River Esk in the west to the North Sea cliffs to the east. The date of the ditch is not in doubt. No fewer than eight clay loom-weights of Middle-Saxon type have been found in its fill as well as animal bones and metalworking debris. The conclusion is inescapable – the ditch must be the boundary of St Hild’s monastic establishment. The Venerable Bede, who is our main source for all these events, says that she acquired 10 hides of land on which to found her abbey. Unfortunately the hide is a unit for assessing land taxation, not a specific measurement, so we cannot know the size of this estate- only that it would have been large. Is this the boundary of her 10 hides? Certainly the ditch defines a large area of land including a further 300 metres of the headland lost to the sea by relentless coastal erosion over the last 1,300 years. Within the enclosed were various zones of activity, including the religious focus and areas of domestic and industrial activity. An important outstanding question is why the ditch curves away from the cemetery, deliberately excluding it from the enclosure. There is still a great deal of work to be done to fully analyse and understand these findings. 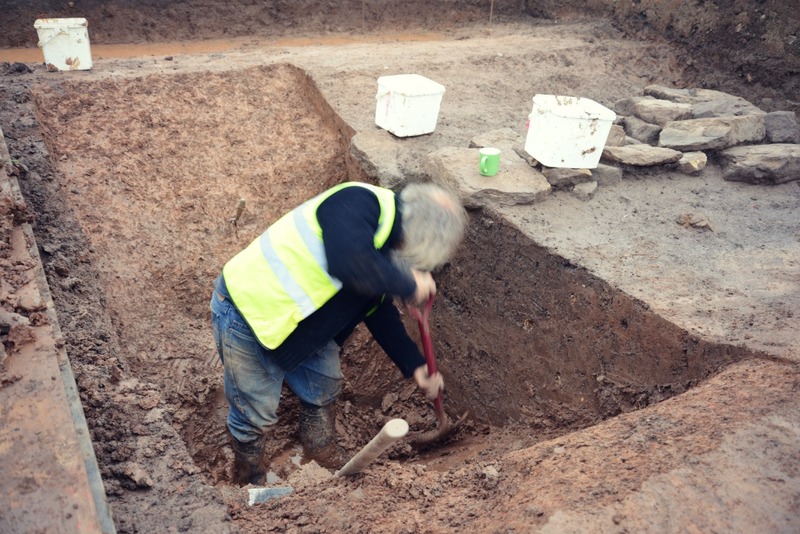 Tony Wilmott is a Senior Archaeologist with the Intervention and Analysis Team based in Portsmouth. He has wide archaeological interests, particularly in the Roman and early medieval periods, and the transition between the two.